Did you ever dream of working from home? I did, and I’m happy to say that my dream came true! However, with this dream there are also realities. It’s so important to know what you’re getting into when you work from home, so you can plan ahead and succeed in your job. In a previous post, I talked about traveling while working from home. The flexibility of travel is a huge draw since working from “home” can mean working from wherever you hang your hat. As I discussed in that post, planning is critical. But even when you’re not traveling, you have some flexibility in how you arrange your day. Here again, planning ahead will help you avoid the pitfalls and create a great routine that works for you and your employer. The enticement of doing things your own way can draw people to a work-from-home career. Yet, in many aspects, your work-from-home job is no different than one in an office setting—you need to abide by work schedules, time frames, and deadlines. The difference is there is no actual human being standing behind you and nobody knows if you are weeding in the garden while on a conference call, taking a 10-minute cat nap, or playing a video game. That’s right, you will have, to some degree, the gift of autonomy. Now, what this really means is that you must be focused and set priorities, because at the end of the day, you need to get your work done. You need to be self-motivated, organized, and professional, so you don’t end up watching silly Internet videos of cats (one of my personal vices, being a cat person) instead of doing your work. Consider online services like Google Calendar, Google Keep, and Evernote for scheduling and to-do lists. Whatever system you use, make sure you don’t miss any meetings or deadlines. Tracking your time can be a real drag, since many of us tend to just work away without paying close attention to the time. Consider services like Toggl and Mouse Flow. Stand out for the accuracy of your time-tracking skills. Learn about cloud services, especially those created (or with options) for business needs. Most companies with work-from-home employees will use at least one of these tools for organizing, collaborating, and sharing all type of documents. I am sure that many companies will appreciate your knowledge about services like Google Docs, One Drive, 4Shared, and Vimeo. You should also pay attention to your work day and how you integrate your personal activities, such as walking the dog or exercising. In the beginning, list the personal activities that you might not normally be able to do at work. Then assess your work performance. Make adjustments where you need to in order to achieve a nice balance between your work and personal commitments. 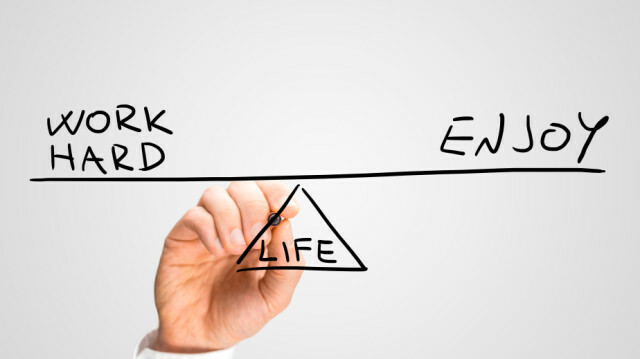 The goal is to better enjoy your life, which should then allow you to be even better at your job. The classic win-win!